Lord James set out in February, accompanied by several lords, including the Laird of Pitarrow (John Wishart, probably a cousin of the martyr, George Wishart) who was described as ‘a man mervileus wyse, discryte, and godly, with owte spotte or wryncle’. Pitarrow seems to have been a close associate of Lord James and the two are often mentioned together. Before Lord James arrived, Mary had received John Leslie, an emissary from the Earl of Huntly. He informed her that Huntly was prepared to support her with troops if she chose to land in his earldom, so that she could restore the Catholic faith – still the religion of the vast majority of ordinary Scots, and much of the nobility. He also warned her that Lord James had his eyes on her crown. Obviously, there was mutual distrust between James and Huntly - James may have been eyeing the Scottish Crown, or, even if he were not, Huntly may have genuinely believed Mary to be in danger from her brother – or he could have been trying to get the knife in first.Whilst events did not fall out exactly as Huntly anticipated, the eventual fate of the siblings suggests that James was not entirely uninterested in the Crown. On 15 April 1561 Lord James arrived at San Dizier in north-eastern France. He spent five days with his half-sister and Mary was so impressed with him, perhaps remembering that despite all their differences, he had stayed with her mother until Marie’s death, she considered making him Regent during her continued absence. Unfortunately for him, however, she discovered that no sooner had he left her than he went straight Paris and talked to Sir Nicholas Throckmorton, the English ambassador there, following this up with a meeting with Queen Elizabeth and Sir William Cecil en route home. Nevertheless Mary was prepared to act on his advice. She would return to Scotland on the basis that no attempt would be made to overturn the Protestantism established by the Parliament of 1560. She would retain Lord James and Maitland of Lethington in her service and she herself would continue to hear Catholic Mass in her own apartments. Lord James would also support her claim to the English succession – an agreement hardly likely to endear him to his patron, Elizabeth I. It is difficult to know at this distance what James’ real feelings towards his half-sister were. She was, by all accounts, an attractive and charming woman and it seems likely that he would have been fond of her as his much younger sister. On the other hand he cannot but have been aware that, had matters gone differently in the 1530s his father might well have married his own mother and he would have been King of Scots. It can hardly be doubted that he thought he would make a better sovereign than the 18-year-old, French-educated, girl in front of him. His allegiance to the new religion was utterly sincere, and for that reason, too, he must have regretted that his sister was his rightful sovereign. It appears that James’ own friends were not completely certain of how he would react on seeing his sister. There were rumours that he might be offered the red hat of a Cardinal if he returned to the Catholic faith. He was still Prior of St Andrews, although he had never been ordained as a priest. Thomas Randolph assured Sir Nicholas Throckmorton that in fact Lord James’s sights were set higher than a cardinal’s hat – he secretly coveted his sister’s crown. Randolph further undermined James’ probity by saying that many believed that, rather than representing the interests of the Protestant party, Lord James was actually visiting his sister to obtain from her the Earldoms of Moray and Fife, and a leading position in the country, together with agreement to his marriage with Agnes Keith, daughter of the Earl Marischal. From the imperfect knowledge that is the best we can have, perhaps the proper inference is that his primary allegiance was to his Protestant faith which he believed could be best maintained by alliance with England. If Mary would support the Protestant Reformation, then he would support her, but, if she would not, he would consider it legitimate to disobey her. On a darker note, it is possible given sanction to a rather unlikely scheme in which Mary would be granted a safe-conduct to travel through England, but would be abducted en route.Perhaps it was a knowledge of this secret plan that led Elizabeth to refuse a safe-conduct, obliging Mary to travel by sea, although it was assumed then, and subsequently, that the English Queen, offended by Mary’s foolish claim in 1558 to be the rightful Queen of England wished to make Mary’s life difficult from the outset. On his return to Scotland, James wrote a long letter to Mary, encouraging her to return to Scotland and giving advice on several points, the chief of which was that she should not attempt to undo the work of the Reformation Parliament in establishing the Protestant religion. What he did not mention (although he had told Cecil about it) was that there was a strong faction of Catholics who had hoped to overturn the settlement. Throughout his advice to her, he gives the impression that anything contrary to what he and the Lords of the Congregation had established would be deeply injurious to her and to the good of the country. Whilst this was probably a completely genuine belief, his presentation of facts was one-sided. 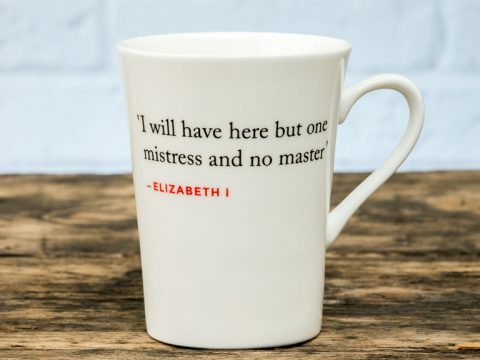 He did, however, fulfil his promise to Mary to support her claim to be Elizabeth’s heir in accordance with the usual English rules of inheritance. In very delicate terms he wrote to Elizabeth, pointing out that, if Mary were recognised as heir, after Elizabeth and any children she might have, this would satisfy Mary, removing a bone of contention between the two Queens and leading to enhanced co-operation between the countries, to the good of the whole British Isles. His letter was in vain – he never received a response.